Fourth son of William and Emma Winton, Stanley was nicknamed ‘Bull’ by the Winton family – perhaps because he was ‘bullish’ in nature as his physical build never seemed to match this description. 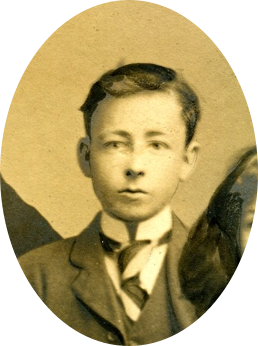 Like his brother Norman, Stanley doesn’t seem to have been involved in learning his father’s printing trade as in 1907 he is shown on a joint Winton family advertisement as a ‘Sanitary and Gas Engineer’ – he was still living with his mother and father in Shoreham at that time so the family business was beginning to diversify even more. In 1911 he appears in the census as a builders’ merchant, progressed and shortly before WW1 purchased one of the last lorries available before WW1 government permits were required. 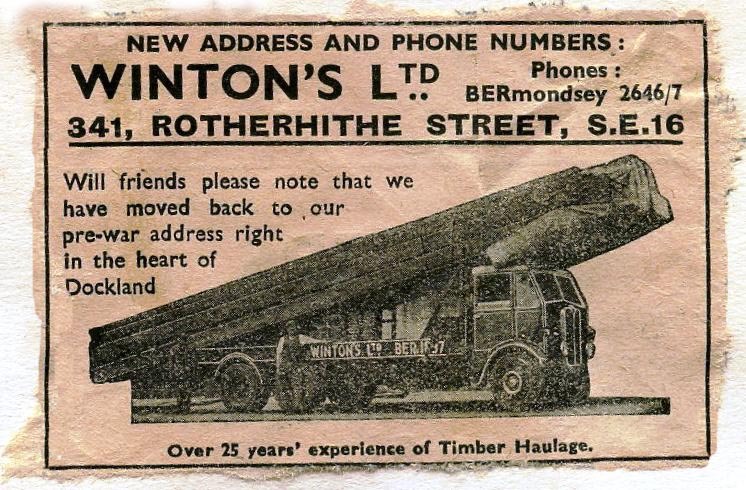 His company hauled loads from the capital to destinations in the southern counties and eventually grew to a fleet of 17 trucks specialising in long loads up to as much as 85 feet. Stan’s steadily improving financial situation enabled him to purchase a grand Renault car seen here when visiting relatives in John Street, Shoreham. It seems he also had an eye for other opportunities as a Daily Express report during the 1920’s revealed. 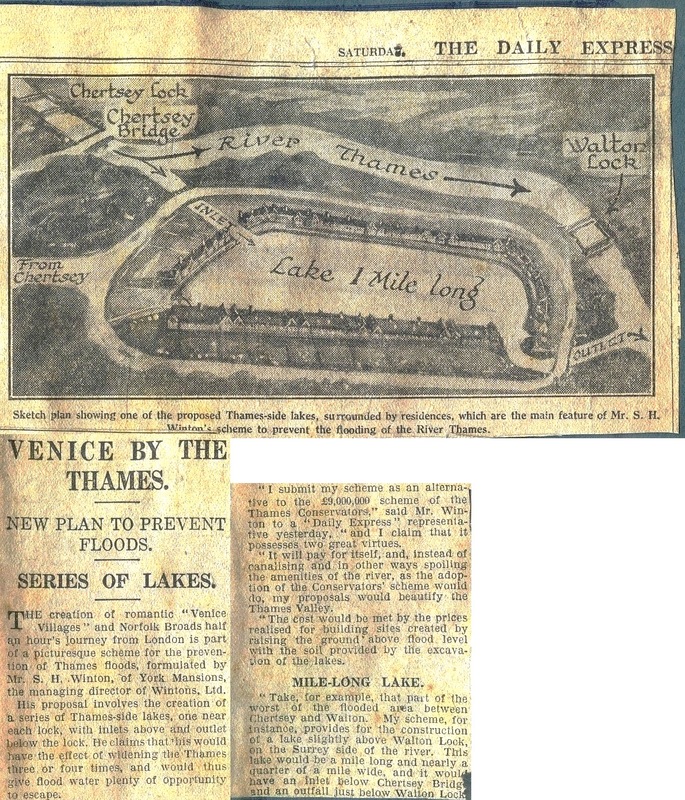 The Thames Conservators were at that time considering various schemes to prevent flooding along the river’s course in the capital and Stanley proposed opening up parts of London near the Thames to absorb the river’s waters during times when flooding threatened. It was not adopted but is a solution that in these days of rising sea levels is now being given more credence. As a successful and obviously hardworking businessman forty-year old Stanley perhaps found little time for a social life or just had not considered marriage but, whilst in the capital, he finally met and married Geraldine Spence at St. George’s church, Hanover Square in 1923. Whether or not he ‘worked hard and played hard’ in the past he certainly ‘played’ more since marrying Geraldine as the family photos increasingly show. 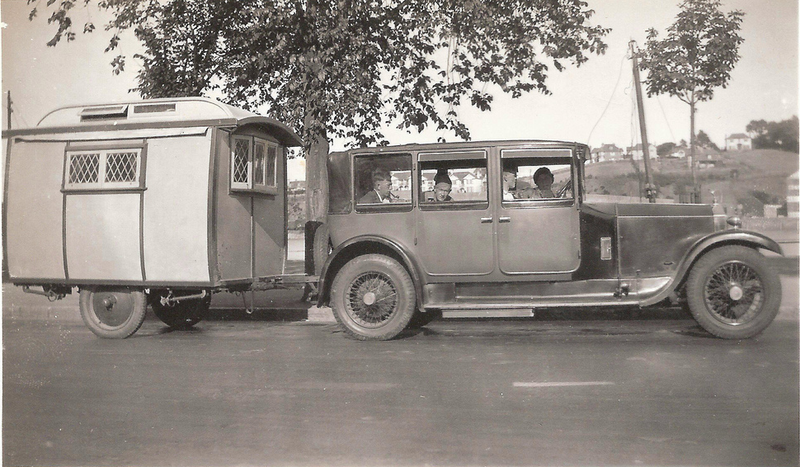 By the time of this photo (in Devon) the couple had upgraded to an impressive 1924 Rolls Royce Landaulette and an Eccles mini-caravan. 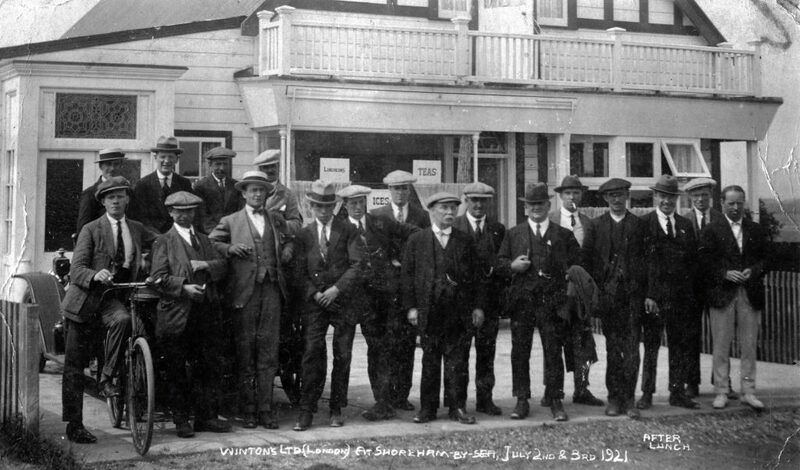 The Winton brothers and sisters were a close family and even seemed to spend some of their holidays together. 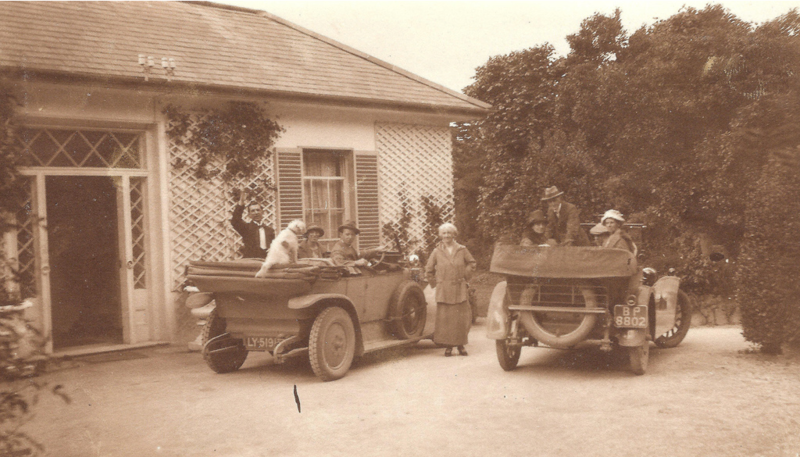 Certainly Stan’s nephew Geoff accompanied him and Geraldine as the following images show and other contemporary photos from the related Hedgecock and Spence family collections suggest that in 1930 they all made their own way down to meet up at the holiday venue. 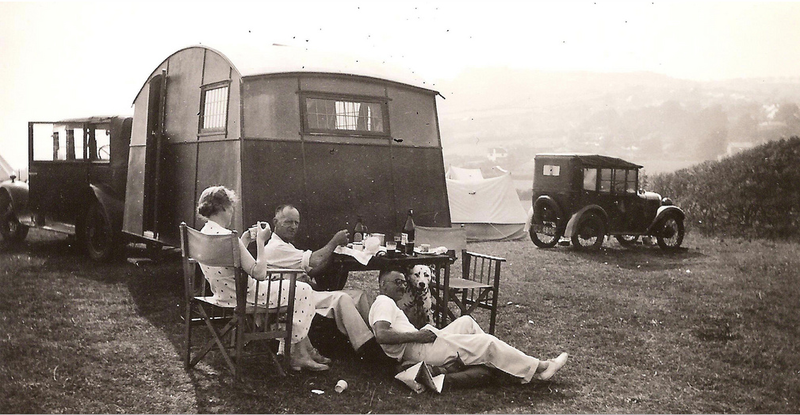 Superb period shots of the Wintons on holiday in Cornwall 1930. 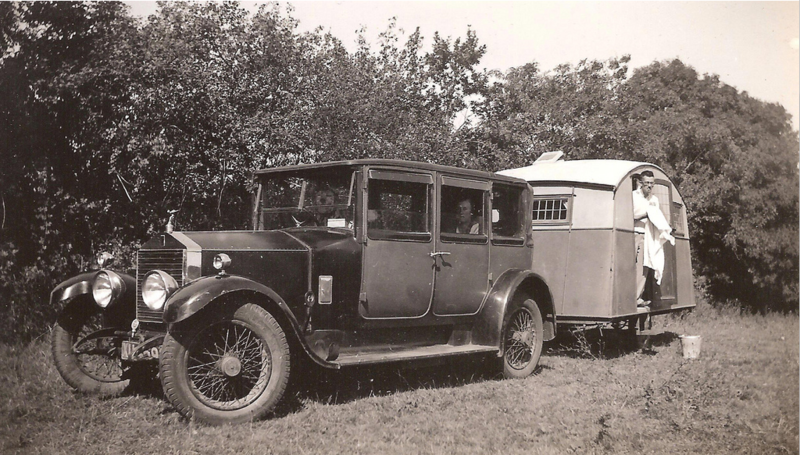 In the lower picture with their later caravan (another Eccles model) are Geraldine, Stanley and their nephew Geoff Winton (Geoff and his brother Hubert were ultimately to be taken on by Stan to help run his business). Thereafter business continued to prosper and his improving fortunes led to him purchasing land at Lancing, just a mile or so from his parents’ house in Shoreham. 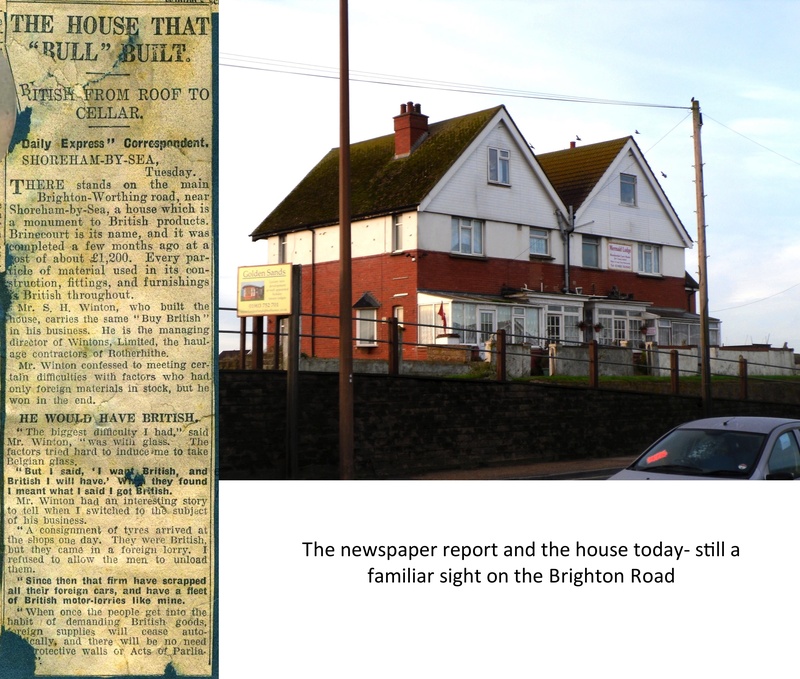 The grounds are approached by a drive that rises to the entrance above the Lancing/Shoreham seafront road and here Stanley built for himself the imposing house that stands there now. Either he was a genuine ‘buy British’ only man or perhaps he was seeking publicity for his business as when he first erected this building (he named it ‘Brinecourt’) it received the attention of the local press. During the building of it Stanley had turned away deliveries of the building materials because the delivery lorry was not British or the materials were manufactured abroad. In the end he got his way (and publicity), the suppliers changed their fleet of lorries and the replacement materials were British made. 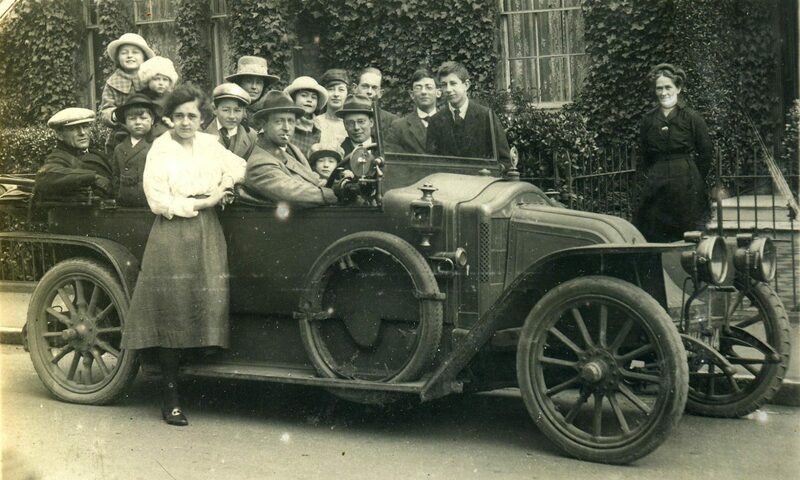 A later photograph showing Stanley in an Austin car behind the Lancing house – the balconies still remain. 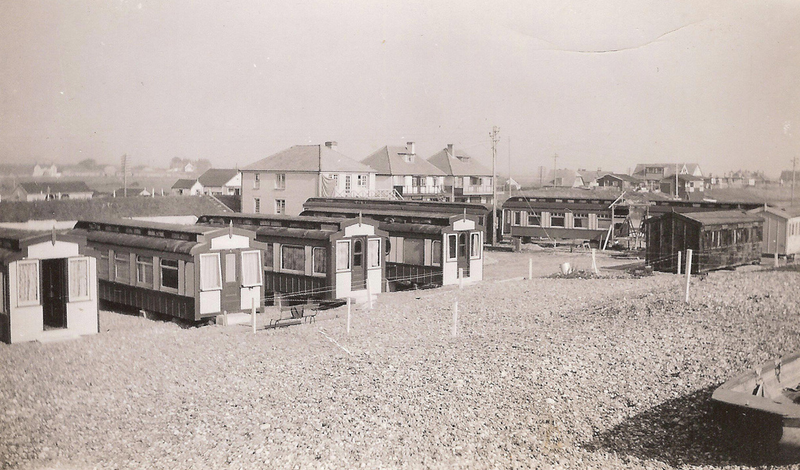 The land at Lancing was considerable and faced directly on to the beach – the local holiday camp was nearby as was a railway carriage works and perhaps these gave Stanley his idea to purchase the land in the first place. 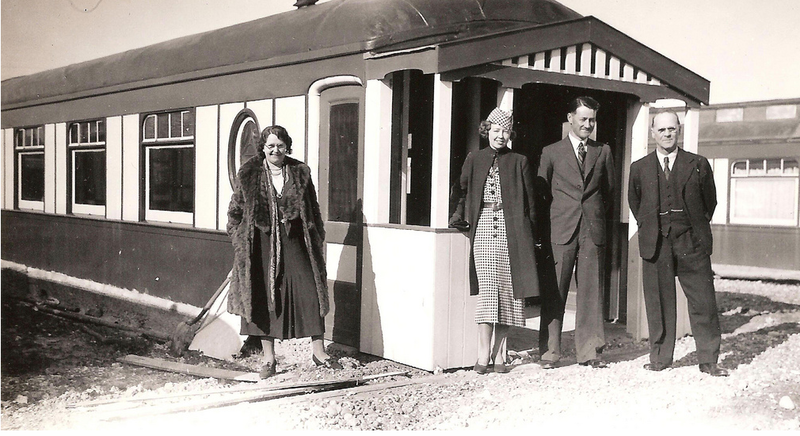 He installed a number of redundant Pullman railway carriages that he had purchased which were put together with their own entrance porches built on then fitted out with bedrooms and living quarters to create his new holiday venue. 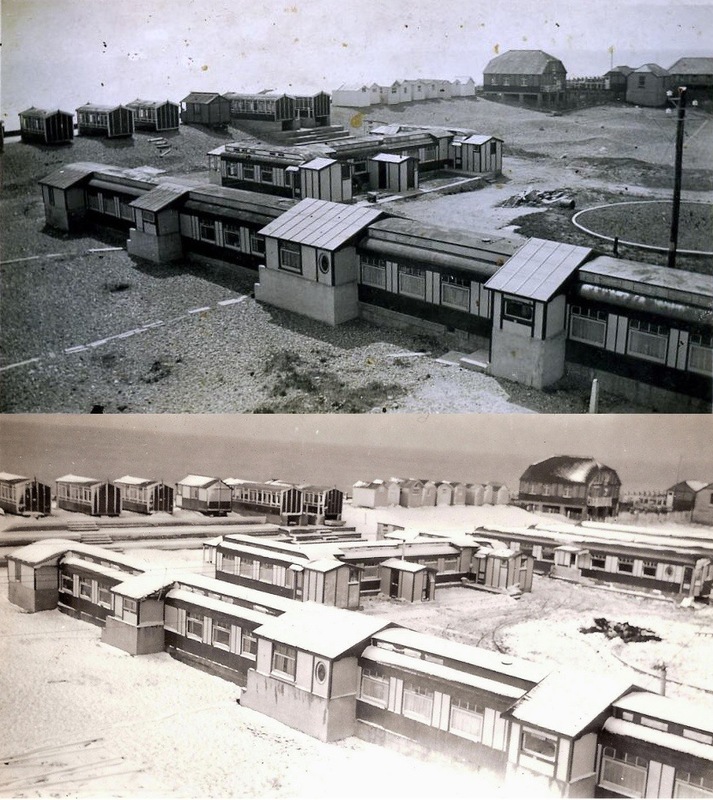 The nearby holiday camp only provided basic accommodation, mainly in tents – by comparison the carriages were luxurious. 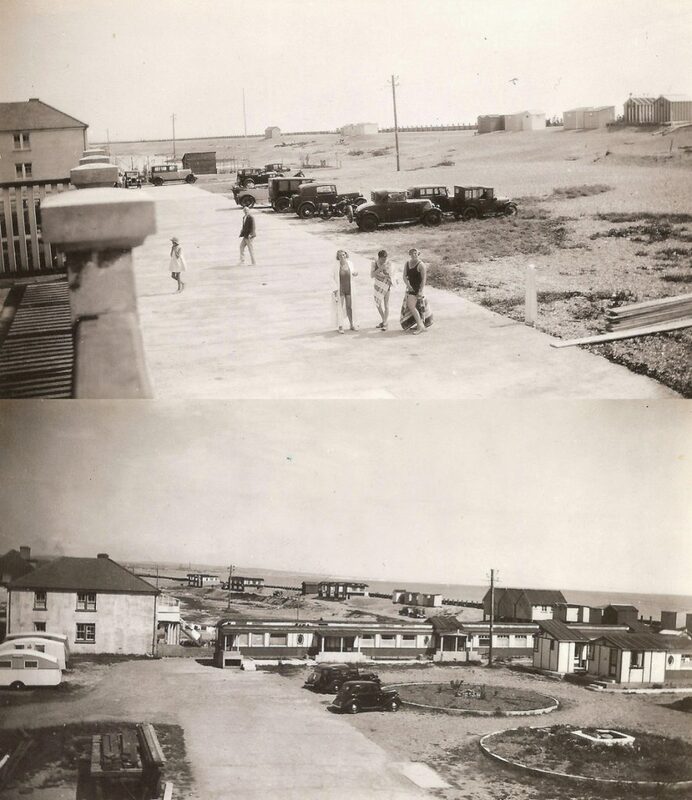 Although the carriages have long gone the area is still in similar use today and we know it now as the Golden Sands Caravan Park. Looking south-west. An interesting contrast of summer and winter. Looking north-east from the beach. New Salts Farm can just be made out in the centre-left distance. A visit from Stan’s sister Myrtle (left), Sam Maple’s wife May, Sam his nephew and Myrtle’s husband Sam Foster. The London haulage company’s depot was in the Docklands area at Bermondsey and during the Second World War inevitably received damage during the intense blitzes of 1941 that destroyed many of his vehicles. 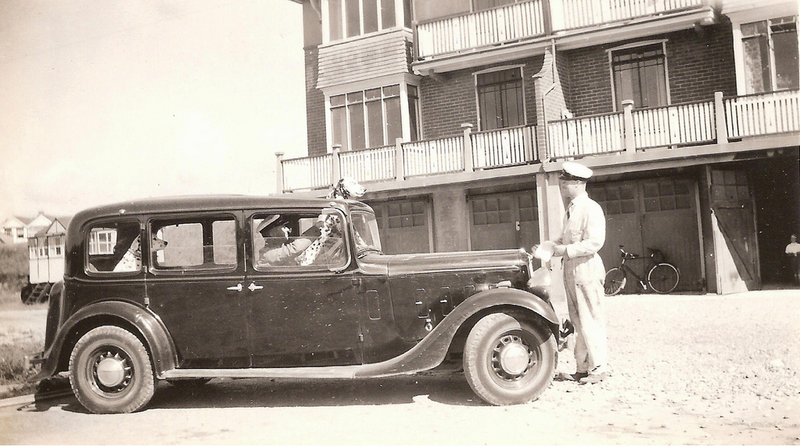 His resourcefulness however not only enabled him to locate and purchase replacement vehicles to save the business, not an easy task in wartime, but also gave him the opportunity to secure new contracts at a crucial stage of the war. A post-war advertisement announcing the company’s return to their Dockland premises. Stanley and Geraldine (Gerry to the Wintons) were never to have their own children but Stanley was very loyal to his siblings and their offspring. 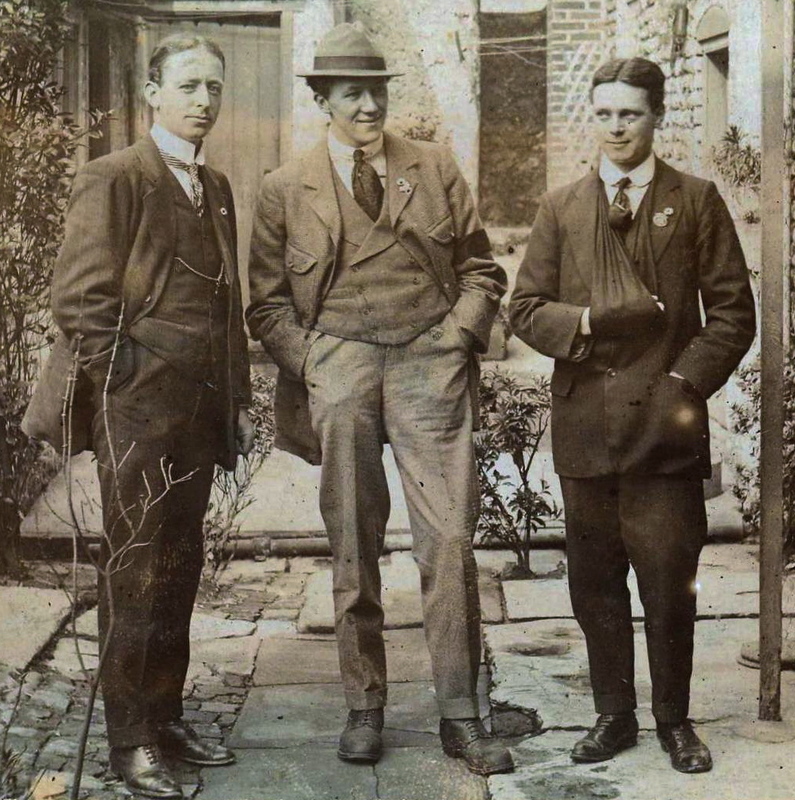 Besides employing his brother’s two sons at his haulage company he was also later to provide accommodation for some of the older members of the Winton family (i.e., his sister Pansy and sister in law Mary) in their retirement at the other houses at his Lancing site. Stanley had worked hard and deservedly earned a good life enjoying his own yacht, his Lancing property, the haulage business and a second grand house in Henley on the Thames. Sadly his later years brought with them some controversy within the Winton family. It was at Lancing that his wife Gerry died in 1959. He, it would appear, remarried in Brighton to Mildred M. Lob just a few months later the same year and subsequently died in 1964 at the good age of 81. He left his entire estate to his second wife, an action that led to much resentment and ill feeling amongst the remaining Wintons.